I am going to watch “Game Changer” now. Is Sarah Palin gonna run for the highest office in the land or….is she just gonna keep media attention on herself? There are some who say she’s just grabbin’ media attention in order to sell a book, in order to have fun or, perhaps, to get ready for some other electoral run. But what do you think? The “smart money” says there is a 45% chance that she’ll run. Frankly, I think that’s high, but it does represent a fall from just yesterday and a massive fall since this past November. But, what does Palin do to the field, running or not? As we all know, she’s a Tea Party favorite, which I find a little ironic. She preaches the financial restraint that has come to define that segment of the population, but she’s also known for her loud social conservatism as well-a decidedly UN-Tea Party stance. So, what does a Palin candidacy do? As I mentioned, Sarah grabs the Tea Party vote. And within that “Tea Party” vote, she absolutely wraps up the most extreme faction. 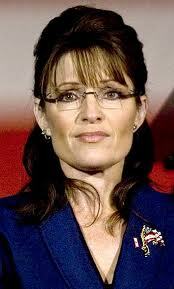 The more moderate of the conservative movement will give pause before supporting Palin. Not only for ideological reasons, but for practical ones as well; after all, can Palin beat Obama? Romney will lose some of his base to Palin, but not the most important part. He’ll still keep the fiscal folks and those who stay away from the social conservatives. The candidate that’ll get hurt the most will be Herman Cane. He’s the only other candidate running that has the support of the Tea Party faithful Will he be able to differentiate himself fast enough and far enough to withstand a Palin run? I don’t think so. If Palin runs, Cane loses out. However, with Sarah in the race, it allows the other candidates to use her as a foil. They’ll be able to contrast themselves to her in order to appeal to more conventional conservatives AND independents. As Palin calls for “Drill baby drill” the other candidates will be able to call for a “more reasonable and sensible approach”. As Palin calls for her extreme fiscal restraint, Romney and Pawlenty will be able to step back and again take a more centrist tone. If Palin doesn’t run, it opens the race to be sure. And as I mentioned above, will massively benefit Herman Cane. As he raises his profile among the most conservative, he’ll see his numbers rise. He’ll preach the fiscal conservative message and it’ll be well received. He’ll speak that speak from the position of CEO and Federal Reserve board member. And without Palin, there won’t be the magnet for the social conservatives and they’ll clamor for an ear. Will it tempt one of the main line candidate to capitulate to the right? Will they resist that temptation? I suspect the voices will be too hard and someone will veer right. It’s my hope that Palin will run, draw out the far right, let the other candidates more normally distinguish themselves and then bow out and play the role of King Maker. And then run for Kyle’s seat. Okay, okay, ya know the joke about Democrats wantin’ Sarah Palin to run for President…..? The latest Rasmussen Reports national telephone survey shows that only 25% of Likely U.S. Voters approve of this tactic [fleeing the state to avoid a vote], while 67% disapprove. Oh, gawd, oh Pah-leeze, Obama come out and side with the Democrats in Wisconsin! PLEASE!